J. T. Rogers is a Tony Award-winning American playwright whose works include Oslo, Blood and Gifts, The Overwhelming, White People, and Madagascar. "As expansive and ambitious as any in recent Broadway history. A colossus." "Rogers…is as close as it comes to an American foreign policy playwright." 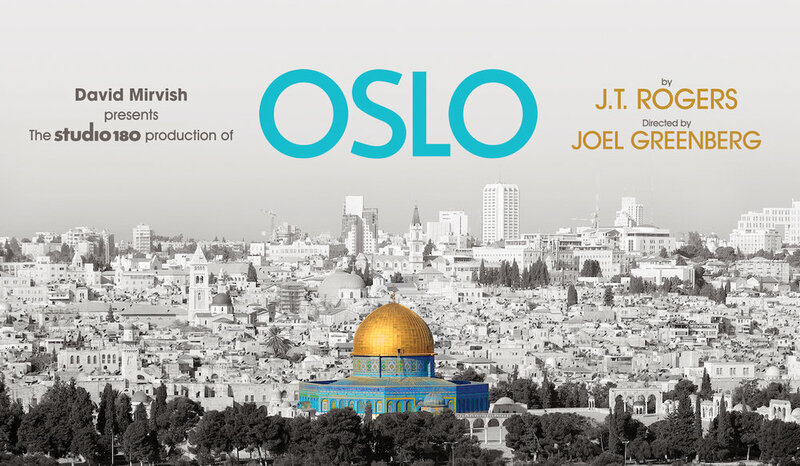 “Oslo is a marvel of theatrical dexterity and nimble exposition"
"Much like the events it depicts, Oslo defies expectations." Join JT (& many other authors, scholars, & artists) at the TFANA Talks series, in conjunction with their production of Julius Caesar. Click for more info and to purchase tickets. JT is being honored by A.R.T / NY at their 2019 Spring Gala! Click for more info and to purchase tickets. Listen to JT read a piece written for the Det Norske Teatret in Oslo, Norway, about his discovery of the OSLO story.